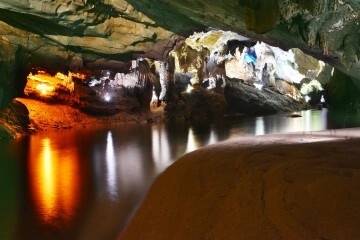 Our staff will take you to the Phong Nha-Ke Bang national park. 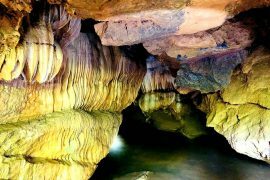 You will be interested by the fresh air, wild animals and plants and enjoy the beauty of Quang Binh caves: Paradise cave, Dark cave, Phong Nha Cave. 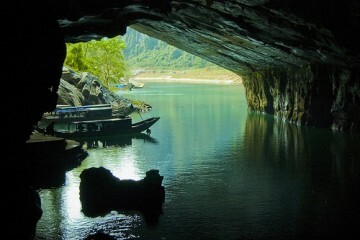 You will have unforgettable time in Quang Binh. 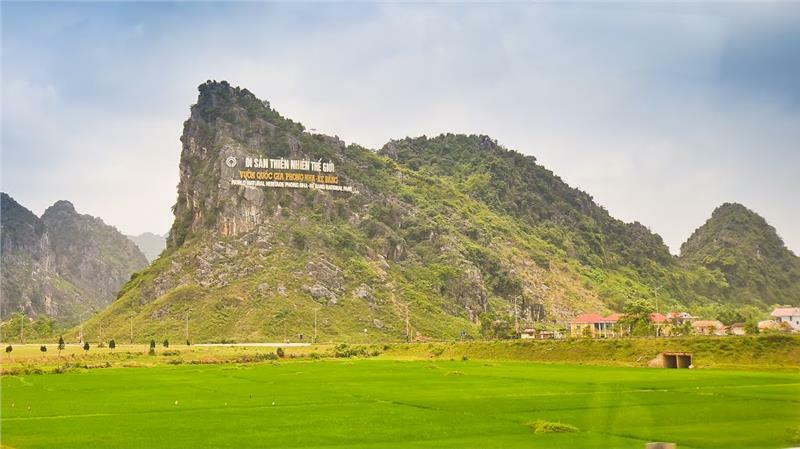 8h.00: We start going to Phong Nha-Ke Bang National Park – World Natural Heritage. Tourists will have a chance to see the hightlight destinations such as Dong Tien slope, Tra Ang cross road, pay a visit to the vast primary forest. 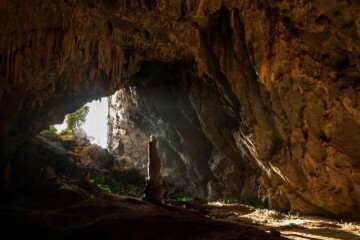 Besides, Tourists will understand more about historical value from the famous sites like Eight-lady cave, 20 Road – Victory. 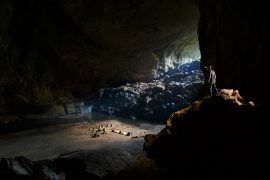 10h00: Visiting Paradise cave – The longest dried cave in South East Asia with the length researched 31,4km. 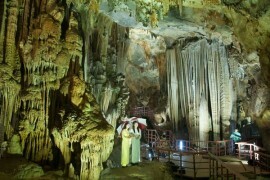 Being with the system of splendid stalactites and stalagmites, Tourists will admire the wonderland. It takes you about one hour to explore inside the cave. 12h.30: Having lunch at restaurant. 13h.30: After having lunch at Dark cave restaurant, tourist will move to the attractive destination with a lot of activities. 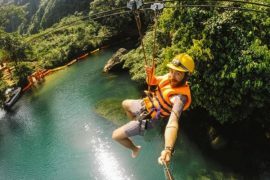 Tourists enjoy Zip lining to go to Dark cave directly . The Dark cave has been exploited with equipments: head-lights, helmets, swimwears. Tourists will have experiences in both of walking and swimming on the Thuy Tien cool lake. Especially, Taking a mud bath inside the cave is the unforgettable tim for all in this tour. 16h 45: Coming back the hotel at Phong Nha town/Dong Hoi city, having dinner at Phong Nha town. 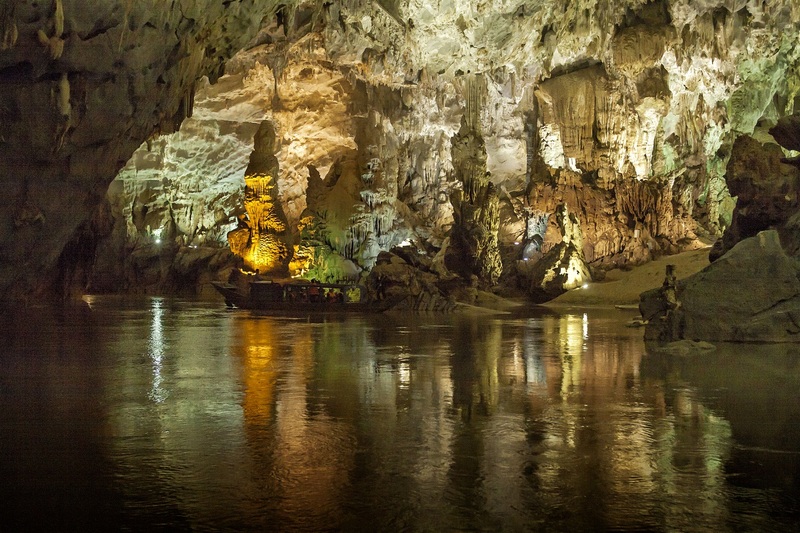 8h.00: You will be transferred to Phong Nha cave, and enjoy its beauty by boat. You explore 1,2 km of the cave on the wooden stair (Hang tien cave, Cung Dinh cave, Bi ky cave). 10h00: Having lunch at restaurant. 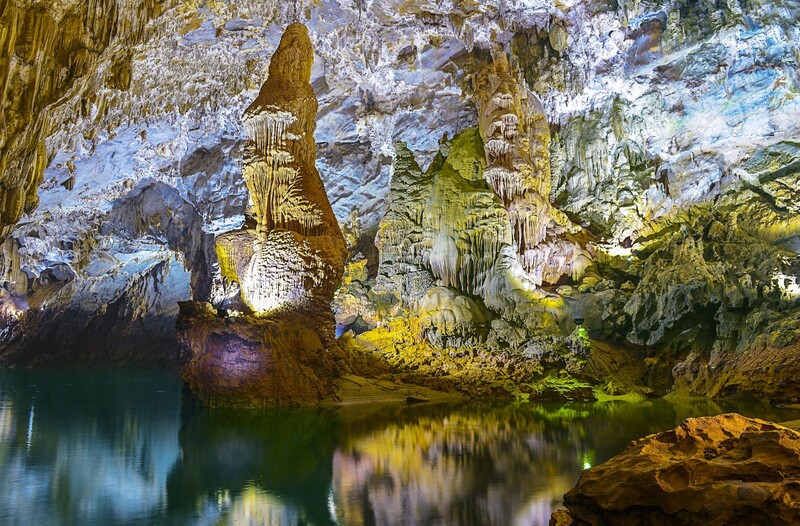 After taking for rest and having lunch, visitors explore the Phong Nha Botanical Garden, a part of the UNESCO-recognized Phong Nha-Ke Bang National Park in the central province of Quang Binh. The garden is home to Gio (Wind) Waterfall, Vang Anh Lake, a prototype exhibition house, a propagation section, and pristine forest patches. Its diverse flora provides a rich habitat for various species of birds and mammals. My friend and I have been travelling thru Vietnam this month, and Netin company helped us a lot with the information needed to organize our trip. Our guide, Lan, is amazing phong nha ke bang, we love her! Would use Netin company for next trip in Dong Hoi !